In 1591, at the age of 76 years, Bishop Salazar sailed from Manila to Spain, accompanied by the Dominican Fray Miguel de Benavides, to work for the erection of Manila into an archdiocese. He left the cathedral building in a state of near completion, enough for mass to be celebrated in it. The first stone cathedral had a central nave and two collateral ones. The succeeding years saw the continuous efforts made to complete the cathedral structure. A Royal Cedula, dated June 11, 1594, ordered Governor General Dasmariñas to allocate 12,000 ducats for the bells, the ornaments, retablos, organs, lamps, and other materials the cathedral would require. 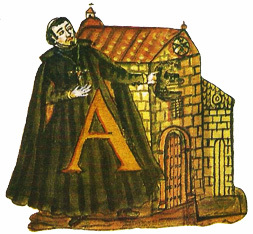 In 1595, sacred relics were given by the Holy See and brought to Manila by the Jesuit Fray Alfonso Sanchez. The relics were from 155 martyrs, 20 popes, St. Polycarp, and St. Potenciana. A structure was built specifically to house the relics at the side of the cathedral. When the structure was completed, the relics were formally deposited there in 1597. Governor Juan Niño de Tabora and his wife Doña Magdalena Saldivar y Medoza built another collateral structure to shelter subsequent relics. The second bishop assigned to Manila to reign as the first archbishop of the newly erected archdiocese was Fray Ignacio de Santibañez of the Order of San Francisco. Archbishop Santibañez gained fame as a very good preacher and speaker. However, his administration of the archdiocese was short-lived. He died on August 14, 1598 only two months and four days since he took over the Archdiocese of Manila. In 1597, the Ecclesiastical Chapter or Cathedral Chapter wrote to the king that the buildings for the cathedral were not yet finished. There was still neither a chapter hall, baptistry, bell tower nor cloister. The principal altar, two auxiliary ones and the choir were built solely from alms. This cathedral suffered during an earthquake in 1599 and, still unfinished, experienced another strong earthquake the following year. At midnight of December 31, 1600, 29 years after Manila was established, a very strong earthquake hit the colonial capital, which almost completely destroyed the cathedral. The Jesuit Pedro Chirino described the Manila Catheral in 1600 to be built with solid wooden posts, so big and thick that two men were not enough to fully embrace each post. Although the cathedral seemed to be strong with its solid posts, it was not sturdy enough to resist the typhoon that devastated it. By the beginning of the 17 th century, the cathedral was still unfinished, although Governor General Francisco Tello wrote in a letter addressed to the king on July 6, 1601, that the cathedral of Manila was in fine condition with a tower and a sacristy. Yet much was still to be accomplished. The process of completion was slow since the Royal Treasury lacked funds to subsidize the project. Still, a glimmer of hope was seen with the incumbency of the second Archbishop of Manila, Fray Miguel de Benavides, who became Manila’s vicar in August of 1603.